This song was recorded by almost sPrinG rather than the sPrinG as the sPrinG never got round to finishing their contribution. A five track CD from the sPrinG. Two songs sung by Alice, one by Johnnie and one sung by them both in French with an untitled instrumental track at the end - all done in just under 7 minutes. What more could you ask for? Both drum kits and the guitar for two of the songs and the instrumental were recorded live to two tracks of a cassette four track using two Shure SM58s in a practice room at Yellow Arch Studios in Sheffield with overdubs added at sPookY sounds. The other two songs had drums and guide guitar recorded on the sPookY B16 in Lincoln with overdubs at sPookY sounds in Sheffield. 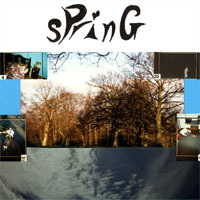 The sPrinG contributed to this compilation CD which is available from Paper Heart Records. The sPrinG contributed a song to this international compilation, but never received a copy of it. Time has passed and now no-one can remember what sPrinG song was on the tape or even if the tape ever got released. the sPrinG's debut album. 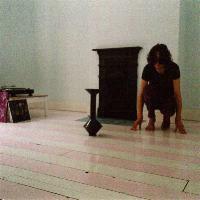 The drums and guitar for most tracks were recorded on a cassette four track in a practice room at Red Tape Studios in Sheffield and johnnie then added more instruments and vocals at sPookY sounds. johnnie was unhappy so transferred backing tracks to a B16 reel and added more overdubs, recorded new songs, etc. 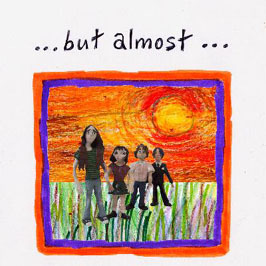 As a result although the basic tracks were recorded in about three hours the album took two and a half years to complete. The album is accompanied by a 32 page story book.